Fine dining plate ware that comes to life, creating a bond between food and diner through movements that extend the gastronomical experience of the taste. 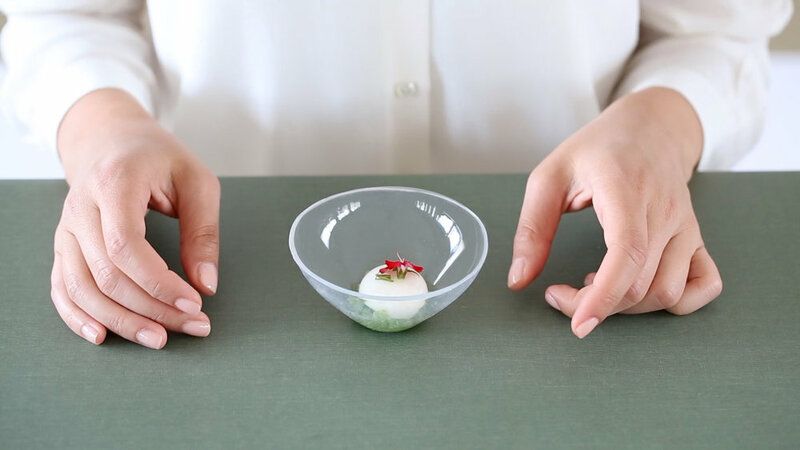 The Living Plates are a set of unique fine dining plate ware made of silicone and porcelain, that comes to life, creating a bond between food and diner through movements that extend the gastronomical experience of the taste. They aim to change our perception of plate ware, turning the dinner into a responsive conversation between the diner and the food, surprising the diner and connecting them to the food in a new way. 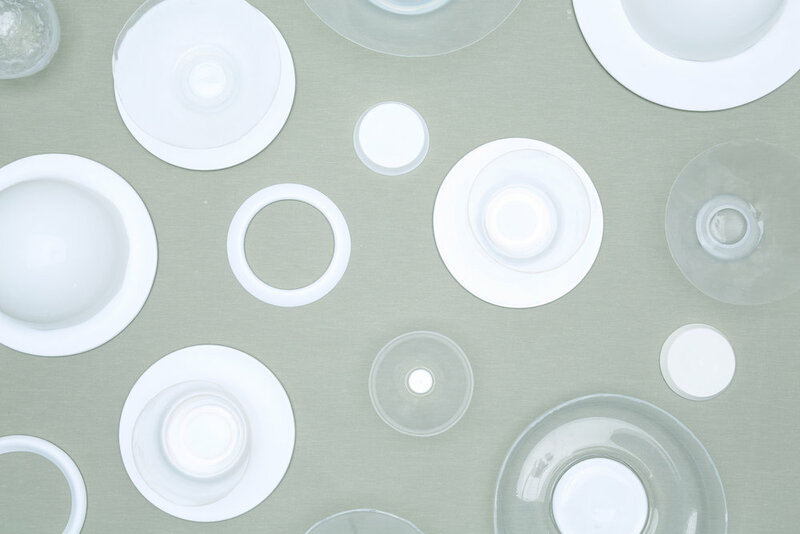 The Plates push the boundaries of plate ware perception through movements such as sinking, oscillating, rippling and bouncing, tying the plates to different flavours. The vessels become a further medium other than flavours for the chef to express his artistic vision. 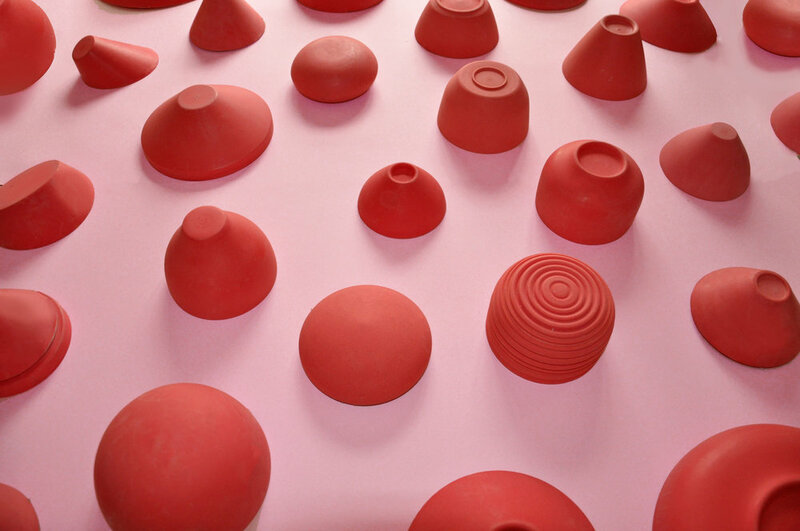 Mastering the material (silicone) to produce a desired outcome was a journey of experimentation. Starting off by casting existing shapes to understand the basics of material behaviour. Which lead to producing a series of studied and calculated shapes to further experimentation to reach the optimal shape for each desired movement. The process of making the living plates, making moulds, testing thicknesses and material shore was epicentral to the final line, as this project is revolved on craftsmanship and material exploration of silicone.Each plate has been studied in moulding technique, shape and material harness to best produce the desired outcome and paired with a Porcelain counter part that would ground the plate and allow it to unleash the full movement.